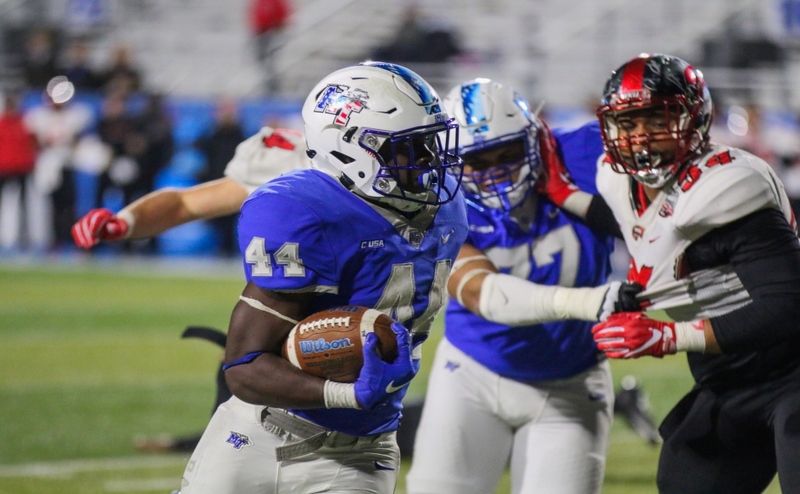 The team spent a lot of time fine-tuning the rest of their game, all while giving Blue Raider a fans a glimpse of the team they don’t normally get to see. To start the day, Head Coach Rick Stockstill presented each individual position with their most improved player. 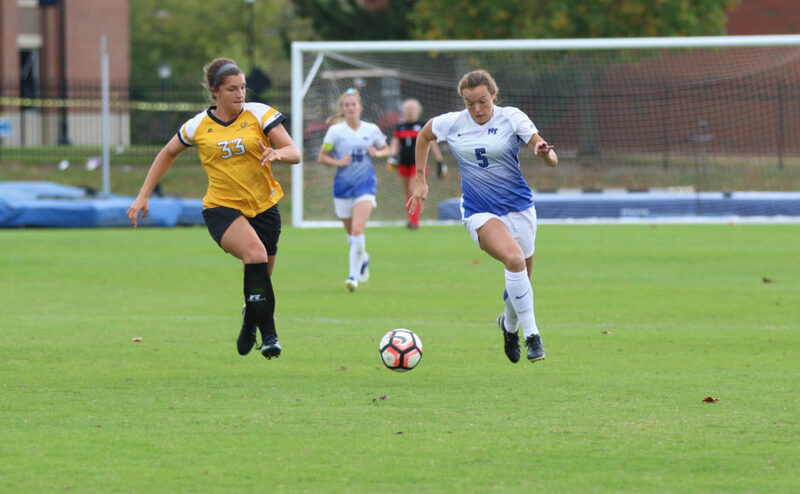 After the awards were presented, Middle Tennessee moved into their individual position groups to get some work in, followed by a short Blue (defensive players) versus White (offensive players) scrimmage. The biggest highlight of the individual position work was the offense running through their hurry-up package. 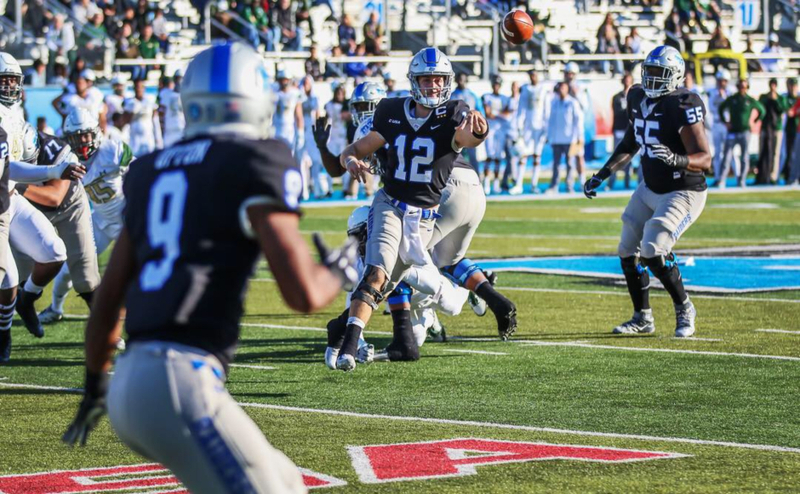 Offensive Coordinator Tony Franklin signaled in plays to quarterback John Urzua (replacing the injured Brent Stockstill) as the Raiders ran through various passing patterns on their way to the end zone. On the defensive side of the ball, speed and footwork looked to be the biggest attributes being stressed by the coaching staff. The defensive line spent a lot of time working on their hand placement when coming off of the snap, while linebackers and defensive backs both spent the bulk of their time participating in drills to improve their pass defense. 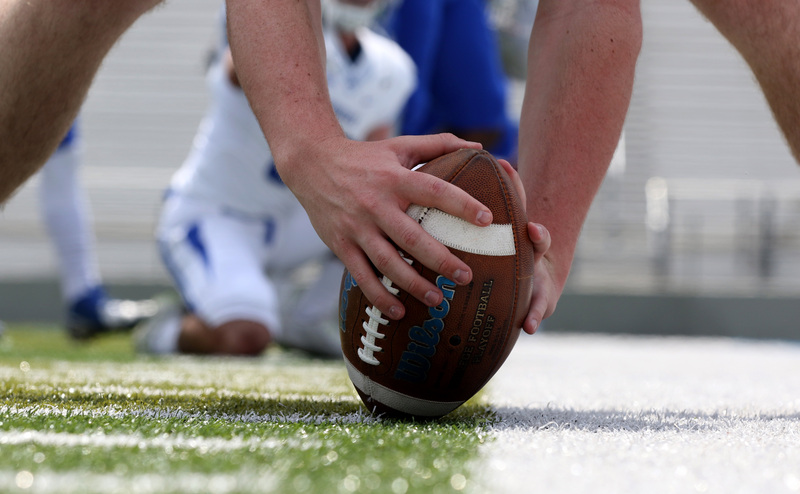 The next period of practice started 7-on-7 passing drills and offensive line versus defensive line board drills. During the 7-on-7 drills, the Raiders completed a lot of swing passes out of the backfield and short passes to their receivers as the defense looked tough to beat in Defensive Coordinator Scott Shafer’s new zone-coverage scheme. Secondary players Daryl Randolph and Alex Dale did a good job of shutting down the deep ball and limiting the offense to short gains. 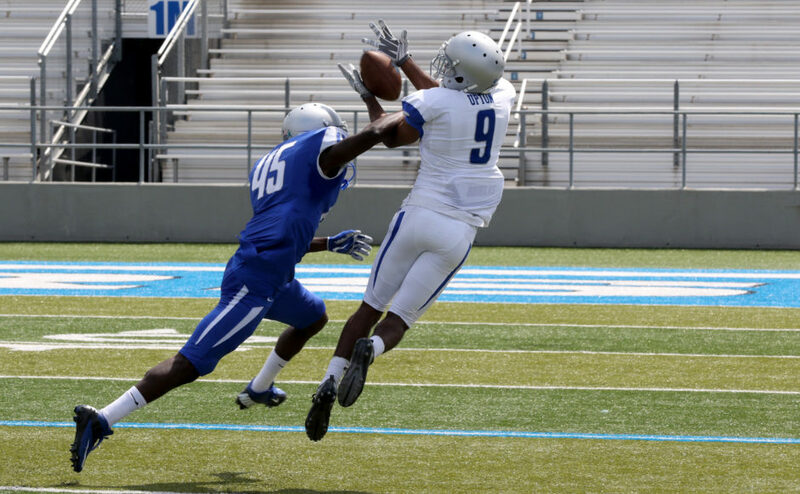 Receiver CJ Windham made a few good catches in traffic Saturday in man coverage against multiple cornerbacks, a feat he would duplicate in the scrimmage. 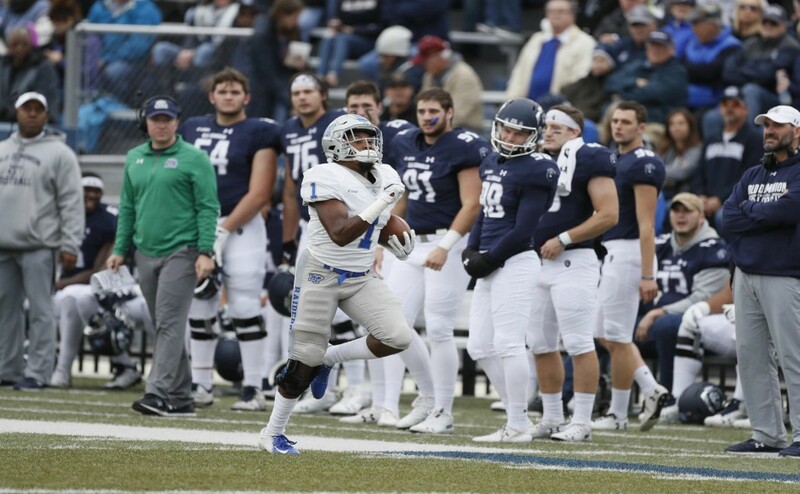 Senior slot back Shane Tucker used his experience as a receiver to help him make a few catches out of the back field. Tucker showed explosion and made good cuts up-field to try and find more daylight. 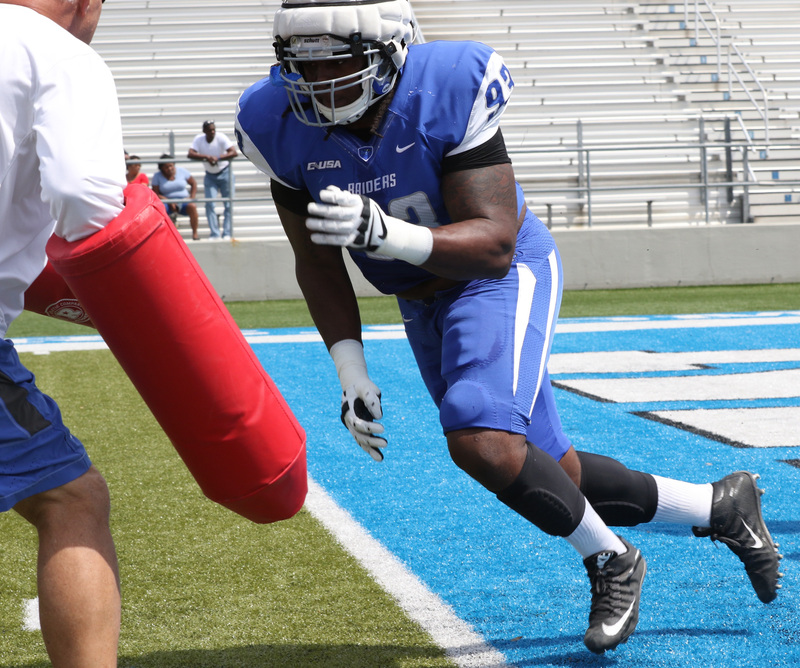 The defense again ruled the day in the run game portion of practice. Defensive lineman Malik Manciel and Moffatt both made multiple stops. 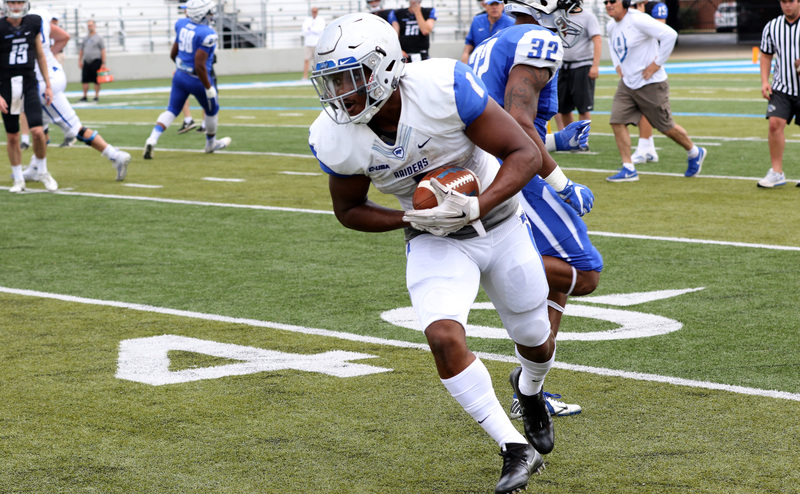 Transfer running back Maurice Gordon used his speed to turn a couple of long runs up the field, making his case for more carries this upcoming year. Shane Tucker impressed during the scrimmage, giving fans the opportunity to see him in a live-contact situation in over a year. Tucker had a couple carries that went for good yardage, but his versatility is what helped him score the only touchdown of the short game. Tucker was able to improvise and find a hole in the zone coverage downfield after his swing-route was busted, and made a spectacular catch off of a nice throw from Urzua. 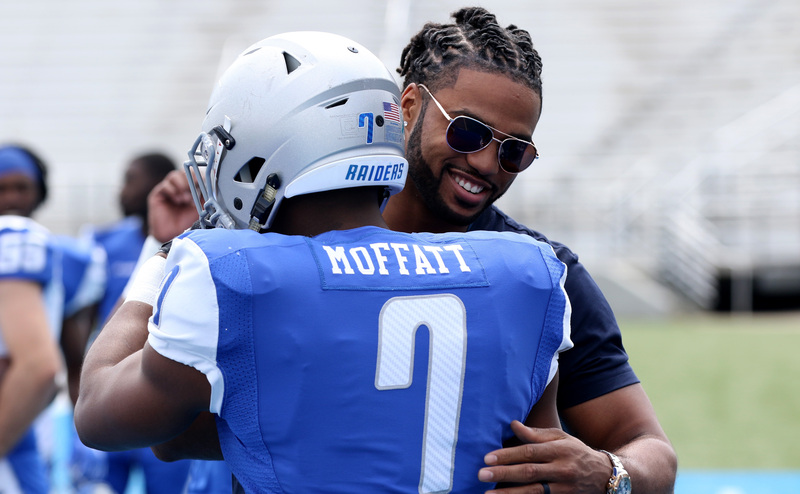 MTSU’s coaching staff will begin their spring recruiting period as the players prepare for the offseason conditioning program with classes winding down. 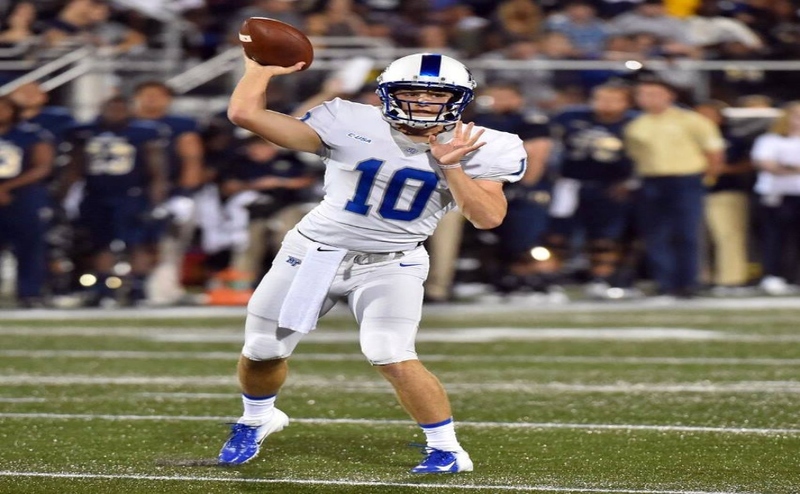 Follow MTSU Football beat writers Tyler Lamb (@Tlamb35) and Rusty Ellis (@RustyEllis13) on Twitter for more coverage.